UNITED NATIONS, USA -- The United Nations estimated Tuesday that 423 people were killed between April 15 and June 20 in eastern Ukraine, where the situation is rapidly deteriorating. 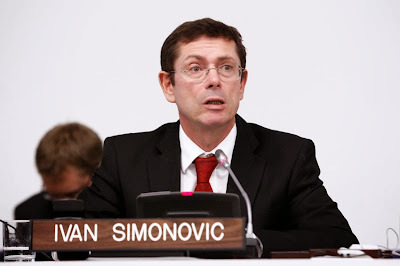 Assistant Secretary-General for Human Rights Ivan Simonovic told the U.N. Security Council that the estimate of deaths, both military and civilian, is based on information gathered from official sources. Simonovic called Ukrainian President Petro Poroshenko's recently announced peace plan and unilateral cease-fire "a positive step in the right direction." But he painted a grim picture of the conflict in the east between the government and pro-Russian separatist fighters. The flow of arms and recruits to armed groups is increasing. Human rights abuses by the separatists are increasing and lawlessness and criminality continue to rise. Reports of enforced disappearances and excessive use of force during government security operations are increasing, and the situation of journalists is "alarming," Simonovic said. Over the past two weeks, he said, the number of Ukrainians who have fled their homes has doubled, with 15,200 moving within the eastern Donetsk and Luhansk regions. "The population is leaving, partly due to fear, but also because of the worsening situation of economic and social rights," Simonovic said. As of June 23, the U.N. refugee agency has identified more than 46,100 internally displaced people — 11,500 from Crimea and nearly 34,600 from the east, he said. Simonovic said hospitals in the east remain overcrowded and understaffed and up to 10 are now closed, medical supplies are low and food prices have skyrocketed with seasonal vegetables now 4 to 5 times more expensive than previously. "Meanwhile, it is becoming increasingly difficult for businesses to operate and people to go to work," he said. "There have been, for instance, armed attacks against mining companies, which constitute the main share of the region's economy." Simonovic said about half the population in Donetsk is experiencing some problems with access to water. In Slavyansk, for example, there has been no running water since last week, about 90 percent of the town is cut off from electricity, public transport is not functioning and phones are not working most of the time, he said. 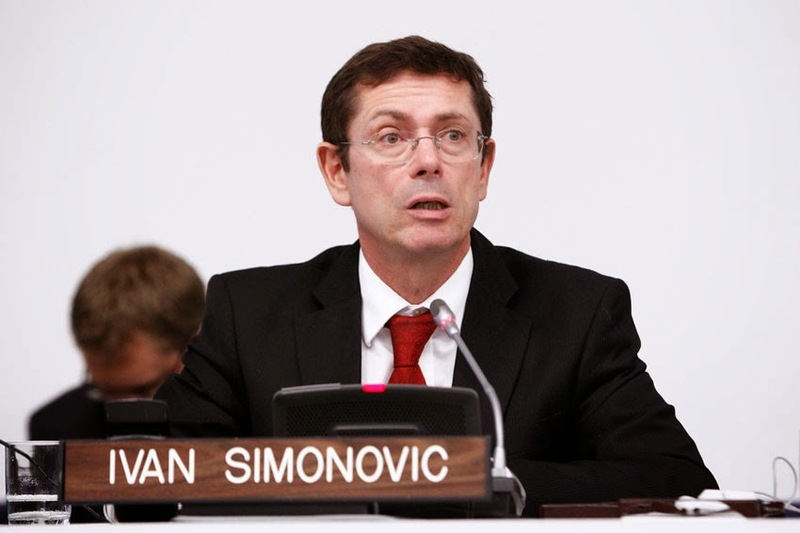 Simonovic said Monday's announcement by armed groups that they will observe a cease-fire until Friday "creates a window of opportunity for human rights and humanitarian confidence building measures." U.S. Ambassador Samantha Power said the United States welcomes Russian President Vladimir Putin's support for the cease-fire but demanded that it be matched by actions to de-escalate tensions and promote peace. She cited recent "contradictory behavior" by Russia including the return of a significant number of troops to the border, the increased flow of weapons and military equipment to the separatists and Putin's decision to put combat troops on alert. She also cited "baseless" Russian claims that the Ukrainian military is carrying out "ethnic cleansing" and genocide which "have the effect of radicalizing Russian separatists, escalating this horrible crisis and further eviscerating the credibility of Russian reports from the region." Russia's U.N. Ambassador Vitaly Churkin rejected biased evaluations and "threats made against Russia," saying "for the first time in Ukraine there have been faint signals that have been encouraging." Russia supports the cease-fire but "we're concerned that the peace plan without practical steps and a direct negotiating process will not be viable nor realistic," he said. Ukraine's U.N. Ambassador Yuriy Sergeyev demanded that Russia, which has annexed Crimea, uphold the human rights of Ukrainians of all nationalities living there. He also demanded that Russia use its influence to make "illegal terrorist groups" in the east immediately cease-fire and lay down their weapons.